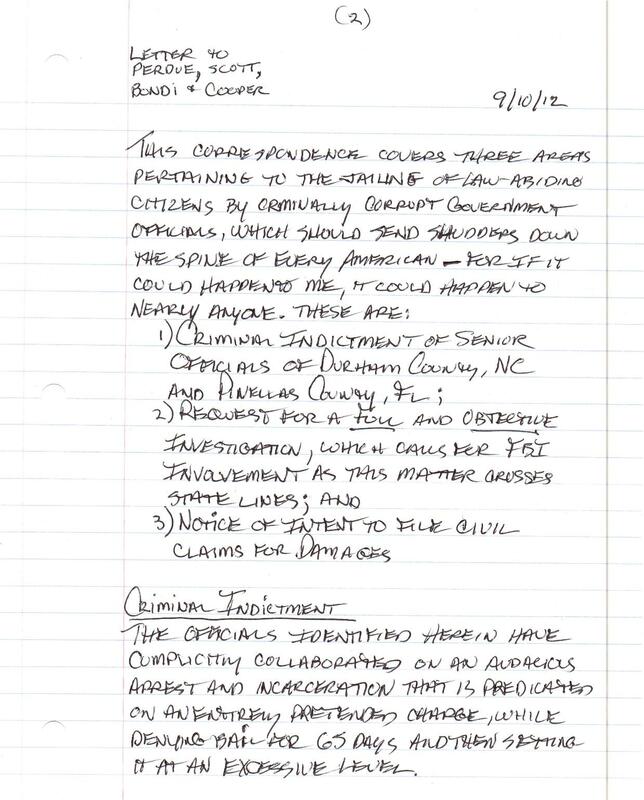 MorganStanleyGate: Plea To The Governors and Attorneys General of NC & FL "Release Innocent US Citizen". 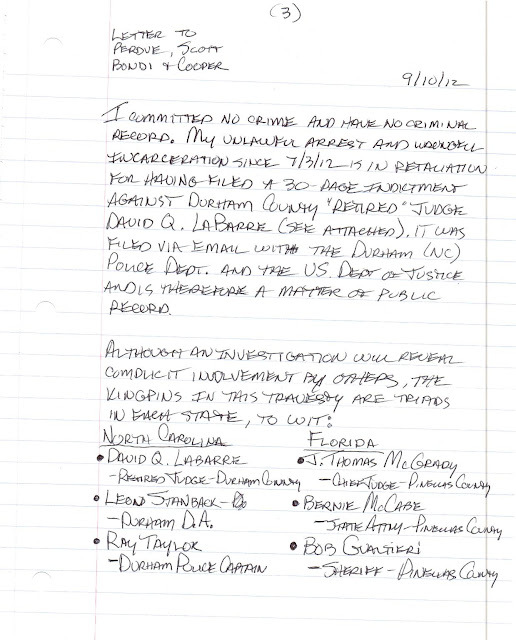 Plea To The Governors and Attorneys General of NC & FL "Release Innocent US Citizen". During the UNLAWFUL incarceration of Spencer C. Young on entirely FABRICATED charges that were made up OUT OF THIN AIR (and later dismissed as such) by corrupt Durham North Carolina District Attorney Leon Stanback in an diabolical effort to cover-up the multiple FELONIES of North Carolina Judge David Q. LaBarre and his girlfriend (Leah R. Krier), he was denied access to any computers and also UNLAWFULLY denied legal counsel. 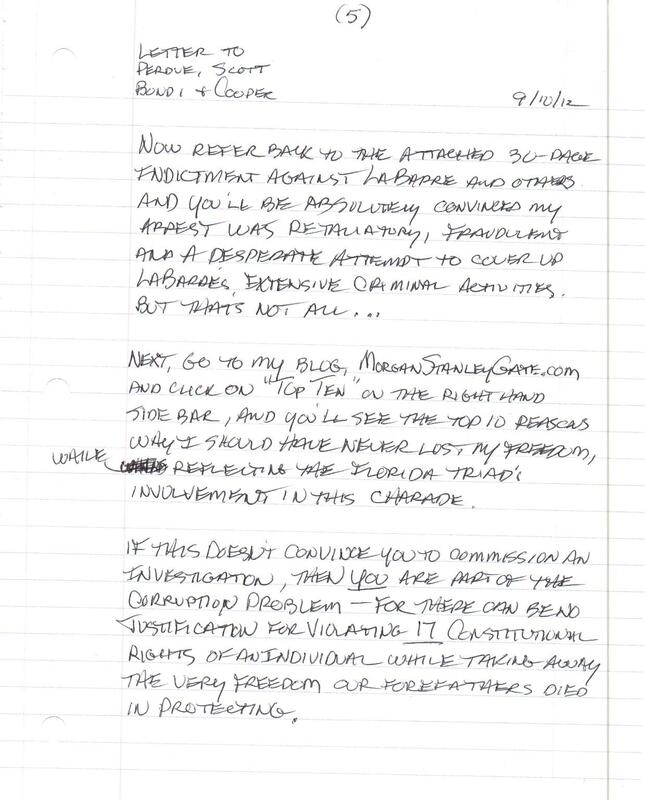 As a result, Mr. Young had to handwrite messages to be posted on-line or otherwise disseminated by email through a private investigator he had hired. 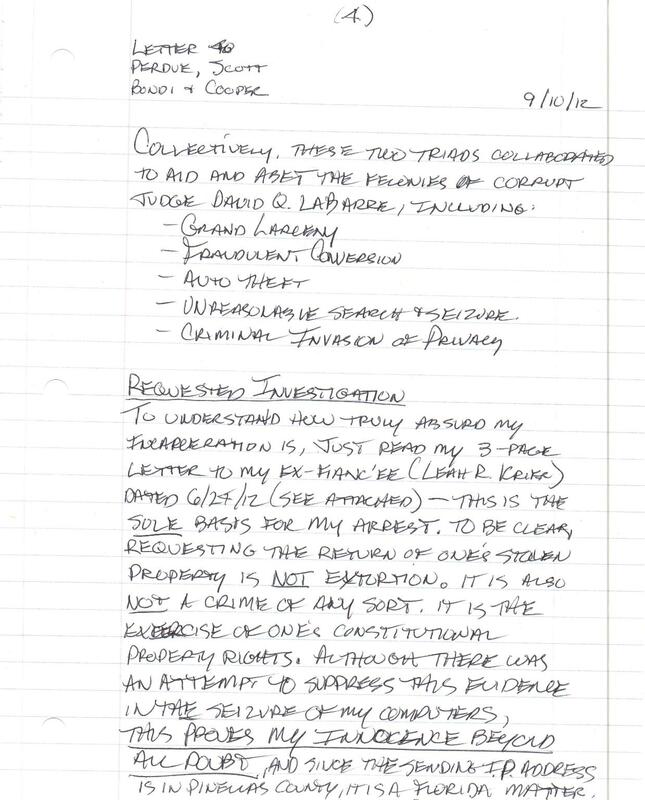 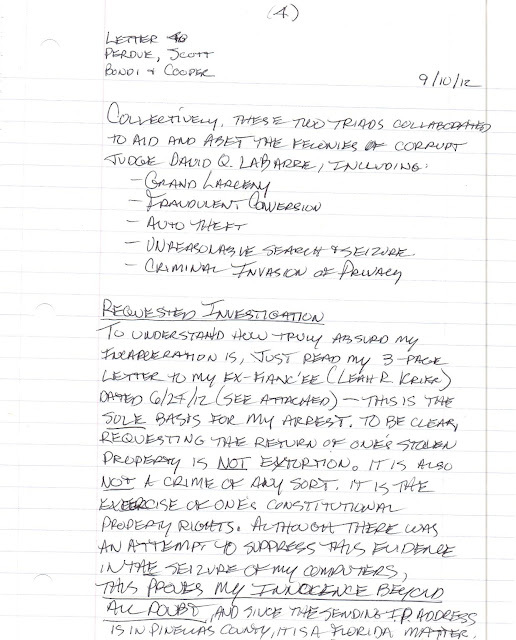 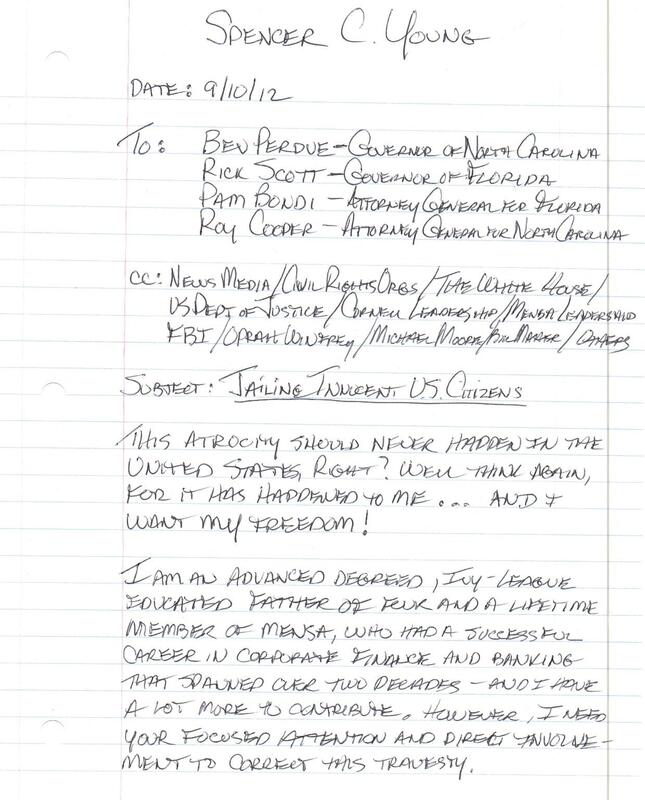 These handwritten messages were then secretly handed off during visits by his private investigator, who would then upload these documents to this website and mail out copies to a variety of others, as directed, with the ultimate goal of securing Mr. Young his rightful freedom. 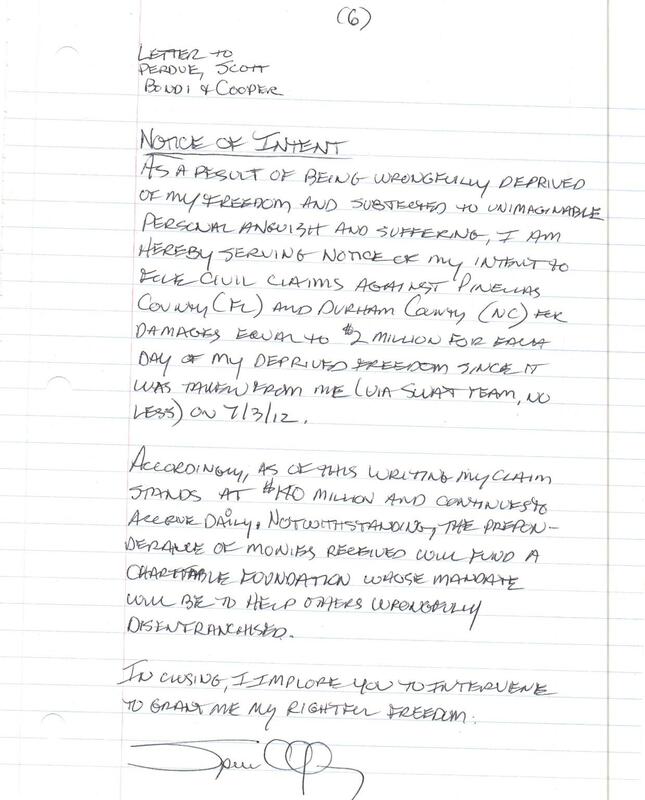 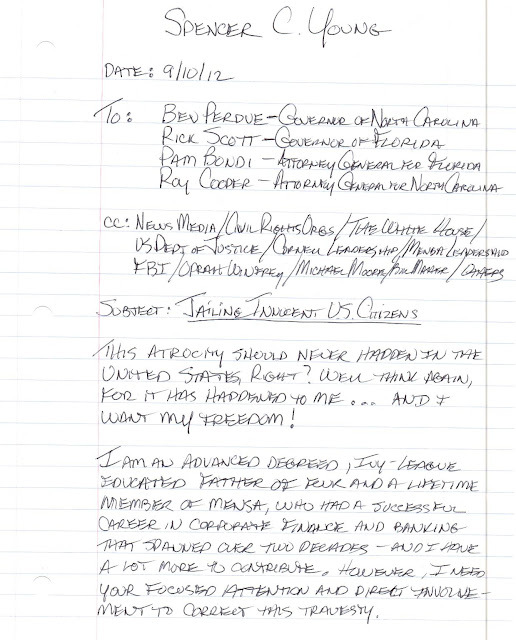 One such document is reflected below, which was scanned and emailed to Florida Governor Rick Scott and North Carolina Governor Bev Perdue, along with their respective Attorneys General (Pam Bondi and Roy Cooper), imploring the release of Spencer C. Young from his unlawful incarceration. "I didn't start this fight, .....................but I'm gonna finish it." .....................-- From "Changling"
1) SCYInv.com - The Corporate Website of Spencer C. Young Investments, Inc.